Ryan Dungey takes round 2 in Phoenix, his first career AMA Supercross class victory and takes the points lead in the process! James Stewart had a scary crash in his heat race and came back to race in the last chance qualifier with visible signs of the pain he was in from the crash. Stewart took the last chance qualifier and went on to the main, but it was Dungey who jumped out to a lead and maintained this lead for 20 laps of the main event. 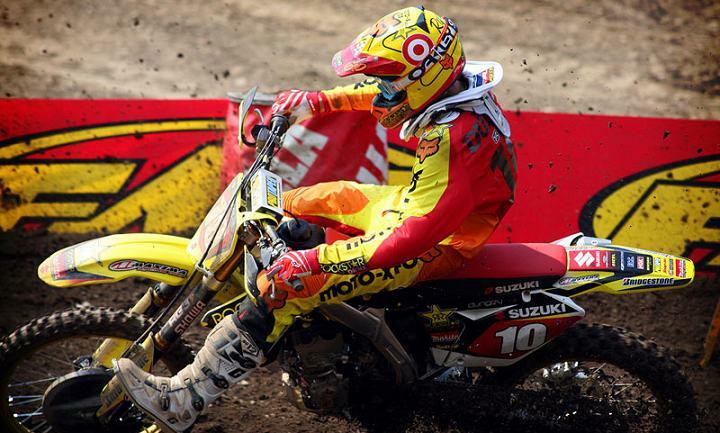 Stewart found himself buried in the back of the field alongside rival Chad Reed. Reed attempted to pass Stewart on lap 5 causing a collision and a crash for both riders. Reed failed to finish for the second week in a row while Stewart was able to finish 15th. 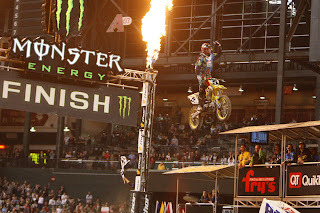 Jake Weimer took the win in the lites and maintained his points lead. Dungey currently holds a nine-point advantage over Villopoto in the AMA Supercross standings while Weimer leads Morais by eight points in the AMA Supercross Lites Western Regional standings. Chad Reed is out for six weeks with a broken hand following the wreck he had with Stewart in Phoenix. Yup I am with you.I just Enjoy your Experience. you done a very great work!Carry on~ Have a nice time. Can't wait for this to come to Salt Lake in May! It's too bad Reed has had some bad luck. Great update on this event. I'm admittedly more the laid back recreational type, but it's always fun to watch! Looks like a fantastic event. Would love to get over to Phoenix myself some time. Found your blog while googling. Consider me as regular follower of blog. Hope to see some more stuff in future.